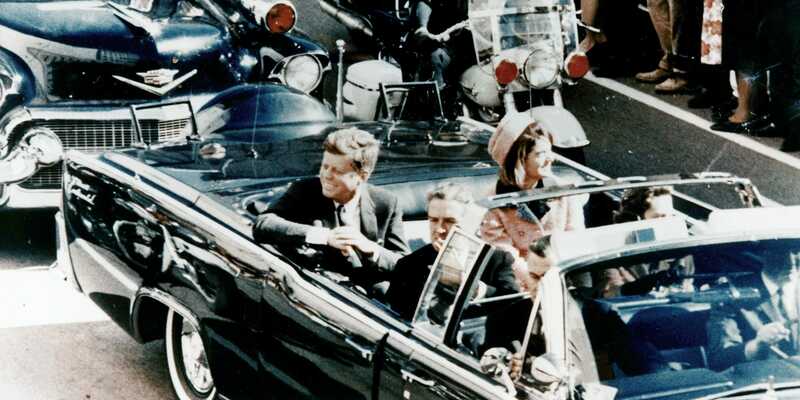 Wikimedia CommonsPresident Kennedy shortly before he was shot dead in Dallas, Texas, on November 22, 1963. President Kennedy was due to give a speech in Dallas on the day he was assassinated. The text survived, and has now been turned into audio via voice synthesis. A company in Scotland spent eight weeks recreating the 2,590-word address. The audio was published online by The Times newspaper. Kennedy’s speech promotes learning and warns against populism. 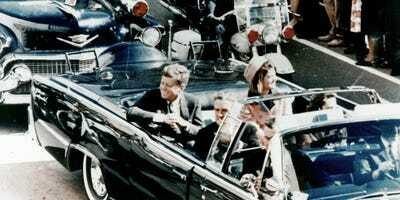 The speech which President John F. Kennedy was due to deliver on the day of his assassination has been recreated with voice synthesis technology. Kennedy was on his way to give the speech when he was shot dead while driving through Dallas with his presidential motorcade. The text, however, survived. And voice synthesis experts have been able to bring the speech to life by synthesising 116,777 voice samples to create the illusion of a fluent performance. Scottish voice company CereProc stitched together parts from 831 separate JFK recordings, each of which was around 0.4 seconds long, to form the full 2,590-word address. The project took two months. The recording was published Friday morning on the website of The Times newspaper, which commissioned the project. Kennedy’s speech (published here in full by the JFK Presidential Library), was dedicated in part to the recently-established Graduate Research Center of the Southwest. This link between leadership and learning is not only essential at the community level. It is even more indispensable in world affairs. Ignorance and misinformation can handicap the progress of a city or a company, but they can, if allowed to prevail in foreign policy, handicap this country’s security. In a world of complex and continuing problems, in a world full of frustrations and irritations, America’s leadership must be guided by the lights of learning and reason or else those who confuse rhetoric with reality and the plausible with the possible will gain the popular ascendancy with their seemingly swift and simple solutions to every world problem. Click here to hear the full speech on The Times’s website.